In many cases, no one told the reservists before their deployments of the changed situation. Moreover, use of the authority — one of several the services can use to call reservists to active duty — has been inconsistent, some would say inscrutable. And although the authority applies only to involuntary mobilizations, in many cases the majority of reservists on the deployments have, in fact, volunteered to go. Word of the changes has been slow to filter through the ranks. And higher-ups apparently haven't been eager to tell them. Hundreds of Marine reservists sent to Honduras in 2016 only discovered the change after their six-month deployment. "All of them were baffled. For some of them, it was their first deployment, so they were incentivized by education benefits," said ­Gunnery Sgt. Doug Webb, who deployed with the command element of Special Purpose Marine Air-Ground Task Force-Southern Command. Then they're told — no s--t, last minute, right before ­Thanksgiving — 'By the way, you don't rate.' "
Leaders like Webb are left holding the bag. With 12 years of active-duty service prior to the Reserve, the change doesn't affect him directly, but it affects his junior Marines, and that matters deeply. 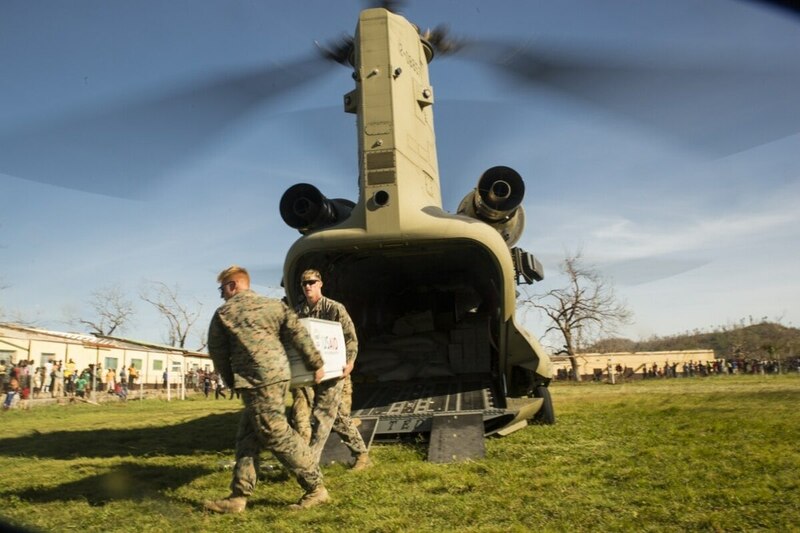 "We live by all those leadership principles, and the top principle is to keep your Marines informed. When you're not informing your senior staff NCOs on how to mentor and guide their Marines, you've failed, bottom line. That's exactly what happened," he said. Section 12304b allows for the involuntary activation of up to 60,000 troops for up to a year to support preplanned operations of a combatant command. It was supposed to streamline the Pentagon's ability to augment active-duty forces and meet global commitments. To its credit, the Air Force Personnel Center warned airmen of the changes in a March 2016 news release. 'The Air Force has not uniformly utilized this mobilization authority," said Lt. Col. Greg Bules, Reserve Policy and Integration Legislative Initiatives program manager, in the release. "It's important that all citizen airmen realize what benefits they are, and are not, entitled to with the changes. "As we move forward in a resource-constrained environment … military planners expect to see growth in the use of 12304b," Bules warned. The Office of the Secretary of Defense declined to say how often the code has been invoked, but Stars and Stripes reported that 4,705 reservists have been mobilized under the authority since 2014. That includes 2,925 Army ­National Guard soldiers, said Patricia Kirby, a ­National Guard Bureau spokeswoman. The Marines and sailors' mission in Central America was planned years in advance. Over the six-month deployment, they mentored and trained military partners in the region, built new classrooms, improved a hospital and renovated a water tower. Approximately 200 of the 294 members of the task force were reservists, according to Maj. Armando Daviu, spokesman for Marine Forces South. All expected to earn benefits for their stint on active duty. "For us, it was a pretty big surprise. A lot of people didn't realize it was an issue," said Marine Sgt. Will Hubbard, one of the reservists who deployed with Webb and was directly affected. Before 12304b came into effect, a reserve deployment was an opportunity for reservists to ramp up the percentage the Department of Veterans Affairs would provide for tuition assistance, housing and other costs of higher education. The longer deployment time, the higher the percentage. "A few of my guys had education plans for when they got back," Webb said. "They were informed initially when we were first mobilized that this would aid in getting their percentages raised. They were absolutely furious about this." This anger was exacerbated by the fact that so many of the Marines had volunteered for the deployment, only to realize later that their orders clearly stated "involuntary." The involuntary aspect ensures that enough bodies are present and accounted for when and where they're needed. As a civilian, Hubbard is vice president of government affairs for the Student Veterans of America, a Washington, D.C.-based nonprofit that helps veterans navigate academia and lobbies on their behalf. He believes momentum is building on Capitol Hill to at least get benefits restored for service members on future deployments, perhaps retroactively. Sen. Al Franken, D-Minn., introduced legislation last year to do just that, but it stalled in committee. "I'm confident we're going to come up with some kind of language that will correct this moving forward," ­Hubbard said. "The fact that [so many service members] are being left behind is extremely concerning."